In a sprawling villa on the outskirts of Rome, the members of the Pontecorvo family have gathered for dinner. Leo Pontecorvo, an internationally revered pediatric oncologist, is forty-eight. His wife, Rachel, is a physician and the loving mother to Filippo and Samuel, two amiable pre-teens. The evening news is on in the living room but nobody pays it any attention until Dr. Pontecorvo's name surfaces from the background noise and a news item airs that will change the lives of the Pontecorvos forever. Leo Pontecorvo has been publicly accused of a vile crime. A spotlight is turned on him that reveals the mistakes, regrets, and contradictions of a lifetime. Every detail of his private and professional life is about to come under scrutiny, to be debated by both friends and foes, by ravenous reporters and punctilious prosecutors. But Leo could bear all this if it weren't for the suspicious gazes of his wife and children. Surely they, of all people, believe in his innocence! 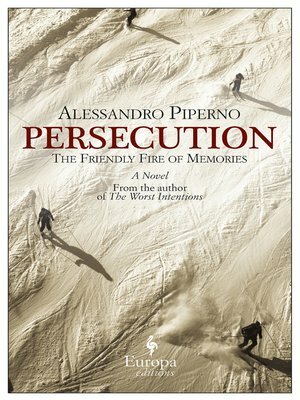 Alessandro Piperno is widely acknowledged as one of today's most talented European novelists. His voice is singular and shocking at times, yet always possessed of tenderness and enormous generosity of heart. His vision is broad and encompassing, his psychological insights penetrating and undeniable. In this deeply felt family drama, Alessandro Piperno paints a broad canvas and fills it with psychologically complex characters whom readers will instantly recognize and never forget.